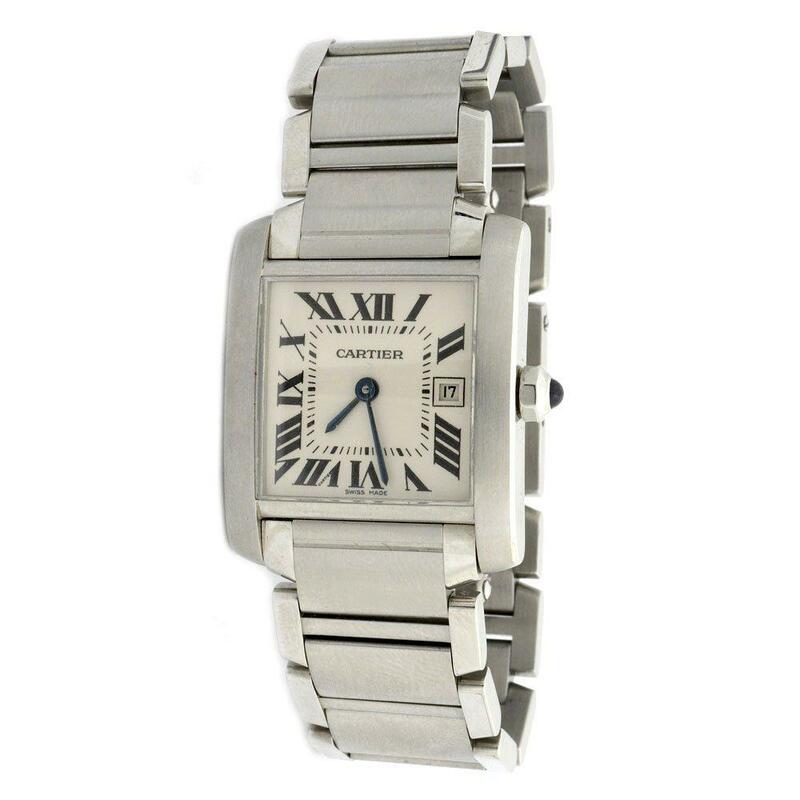 Cartier Tank stainless steel watch. Approx. measurement: Case 1.50 inches Wrist 5.75 inches.